BARRINGTON, Ill. (WLS) -- A suburban high school got a big graduation surprise from one of country music's hottest stars. 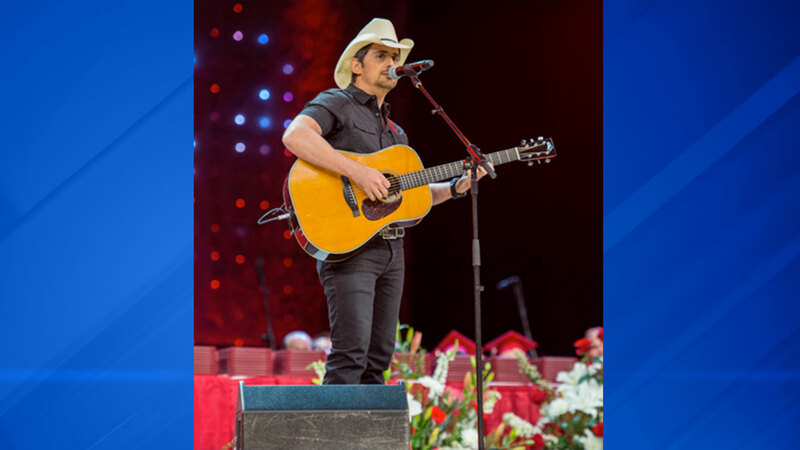 Country superstar Brad Paisley performed at Barrington High School's graduation ceremony Friday night. The concert was the prize in a contest promoting his new song, "Last Time For Everything." Barrington High School's TV class created a video for the contest that asked students to answer the question: What "Last Time" are you going to miss most about school? "I'm thrilled to announce the winner of the BP Graduation contest we had. No body beat that - that video you guys made was amazing. I'm going to play a couple songs for you before you go out and make the world a better place," said Paisley. 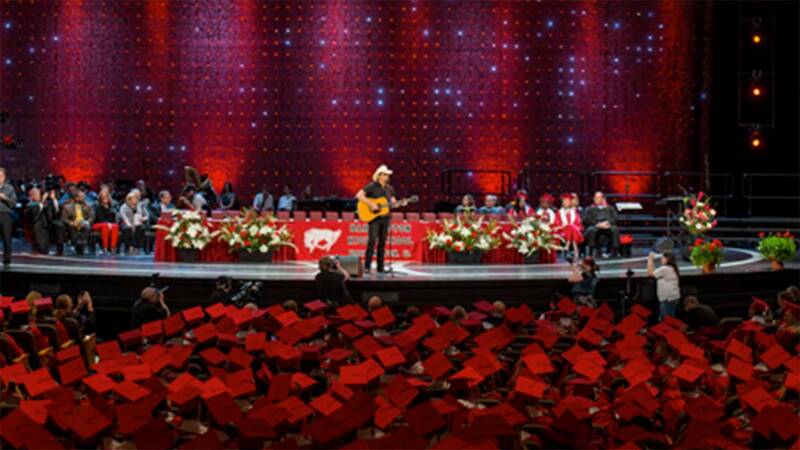 Brad Paisley performing for Barrington High School graduates..
Paisley performed "Letter To Me," "Today" and "Last Time For Everything" for the graduates.